Anakin The Two Legged Cat: Happy Caturday! 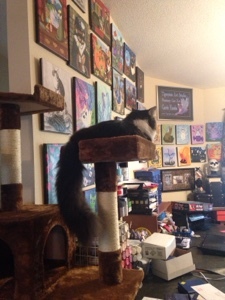 Ani, you look so regal sitting there on top of your kitty tower throne! Hope you had a great Caturday and Sunday as well.